Requirement: Add field to list content type in SharePoint Online. 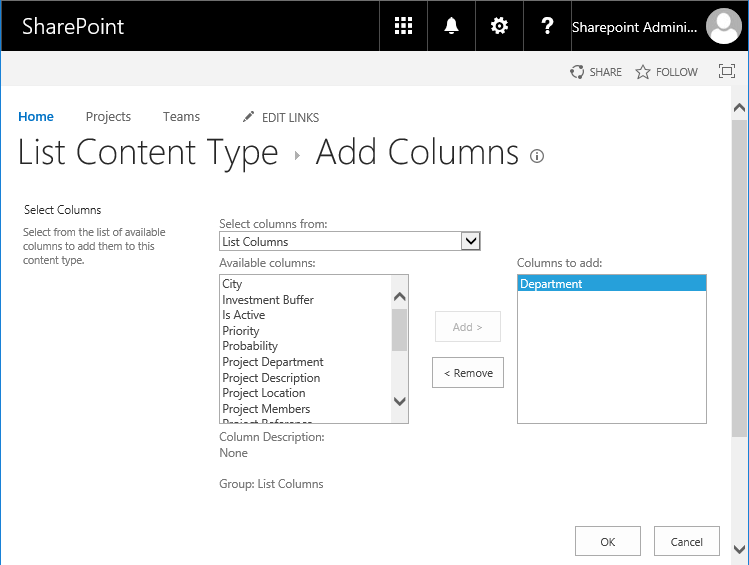 How to Add a column to a List or Library Content type in SharePoint Online? Go to the list or library settings >> Click on the appropriate content type name from List settings page. Select the appropriate column group and then select the column you want to add to content type, Click on "Add" button and then OK to add that column to your content type. You can add column either from the existing list's columns or from site columns. Lets add field to list content type using PowerShell. Based on "IsSiteColumn" parameter value, this script can either add a site column or list column to given content type. If you need to add a field to site content type, use: SharePoint Online: How to Add a Site Column to Content Type using Powershell?